Adult coloring books are all the rage right now, and libraries and museums are joining the fun! 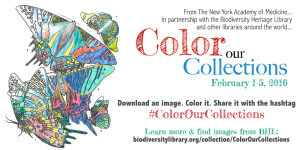 Inspired and organized by The New York Academy of Medicine Library and the Biodiversity Heritage Library, libraries around the country are sharing images from our collections this week for our users to color by hand. Each day this week, we will add a new coloring page to social media and this news post. 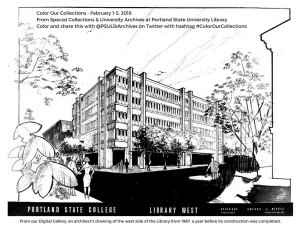 You are invited to download these images, color them, and then share them on social media to @PSULibArchives with the hashtag #ColorOurCollections. Click on the links below for coloring pages. February 1: Dodo engraving from Sir Thomas Herbert’s Some Years Travel into Divers Parts of Africa and Asia. 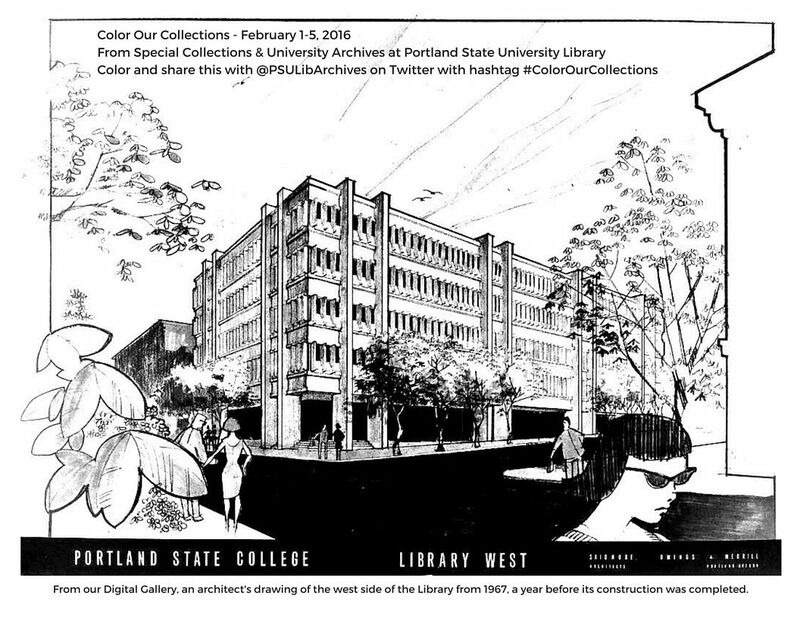 February 2: Architect’s drawing of the west side of the Library building from 1967, a year before construction was completed, from the University Archives Digital Gallery. 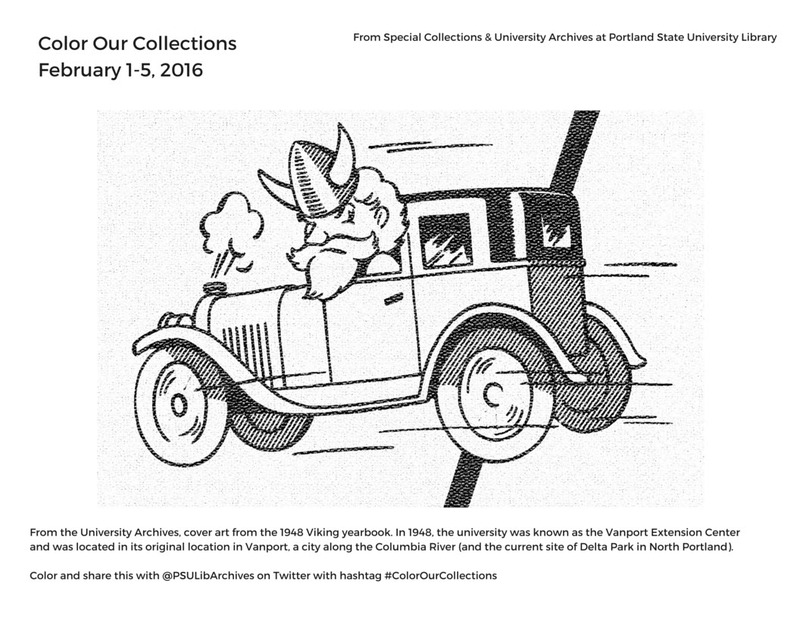 February 3: From the University Archives, cover art from the 1948 Viking yearbook. February 4: An engraving on the title page of the 1632 Dialogo di Galileo Galilei, signed by Stefan Della Bella F.
February 5: A leaf from The Works of Geoffrey Chaucer published by Kelmscott Press in 1896.